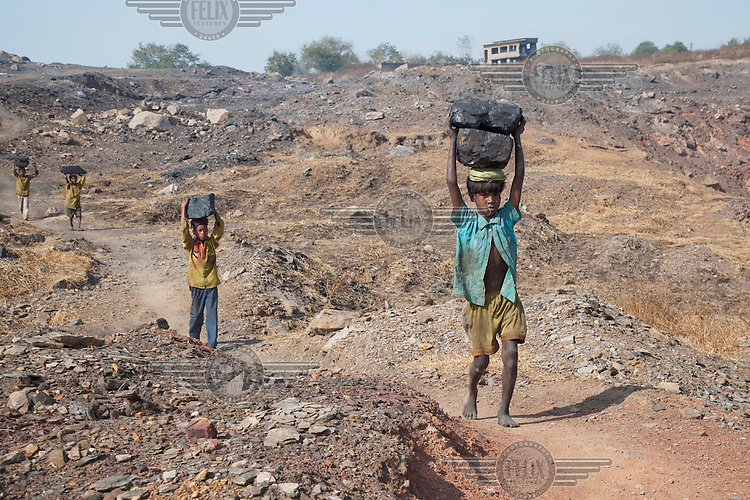 Boys carry large lumps of coal that they have scavenged from an open pit mine near Dhanbhad. They will carry this coal several kilometres to sell in a local market. As mining has displaced agriculture, scavenging for coal on the edge of mines has become one of the means of survival for those who have been displaced from an agricultural life by mining. ..